← Now, Where Were We? 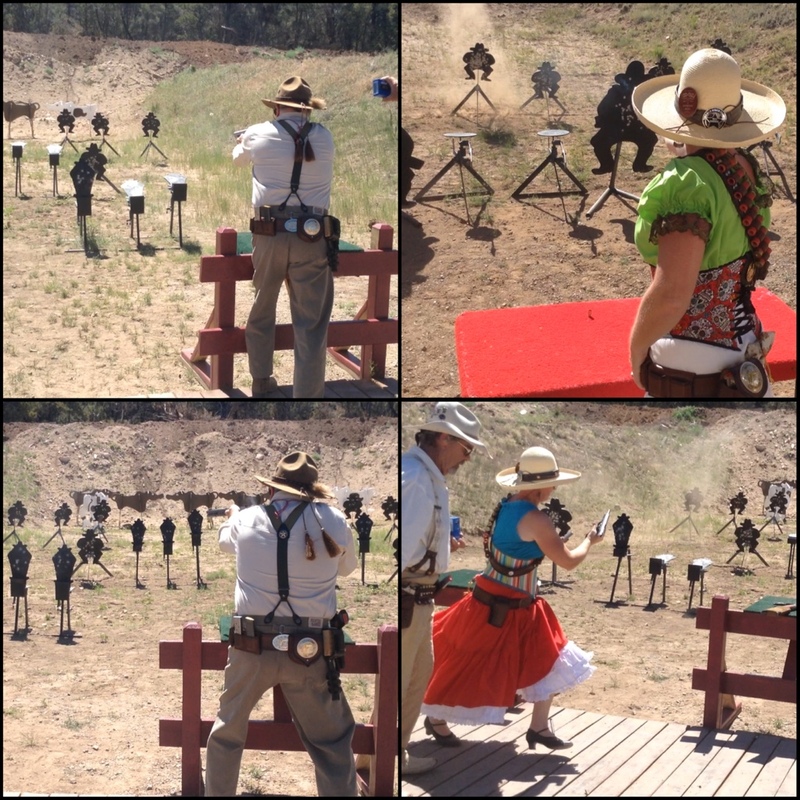 What an exceptional weekend of weather and shooting for the 2017 Wild Bunch World Championships. Plenty of action and plenty of rounds down range. It certainly was a challenging match but the stages were fun. Neither Jack or I had particularly stunning matches in the good sense but we weren't the only ones. We had a great Posse with Jim Milker, Texas Tiger, Back Forty, Shell Stuffer, Lawless Lil, Molly Magoo, Rum Walker, Capitan Regulator, Trigger Happy Ted, Beaver John, Billy The Avenger, Wild Horse John, Squibber, Macon A Longshot, Grizzly Peak Jake, Duke City Deadeye, Calhoun Kid, Blaze Kinkaid, Jackaroo and myself. We also had the 285 Scout troop picking up brass and painting targets for us. This year we didn't do any side events but from what I heard there was a lot of fun and some great wins! 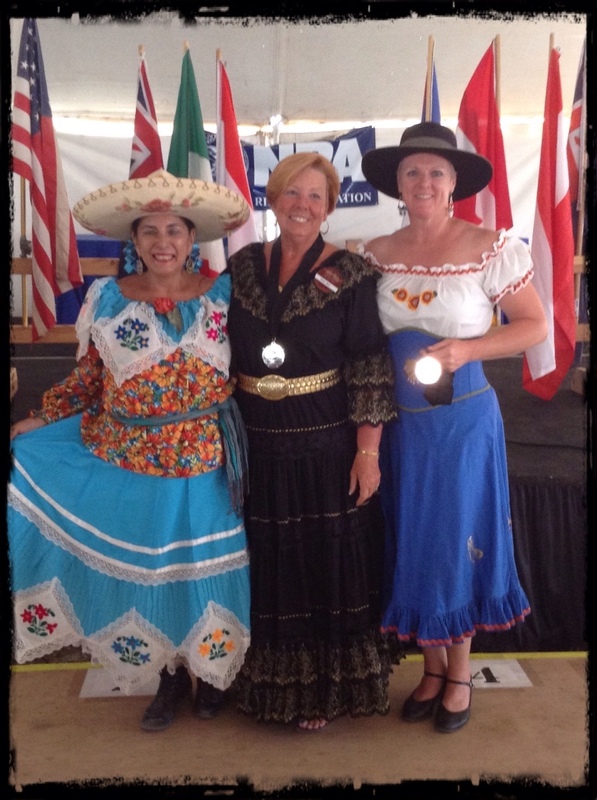 Costume contest was carried out with EZ GZ taking 1st Place, Dixie Bell 2nd Place and Kathouse Kelli 3rd. Men's was Captain George Baylor in 1st Place and Wild Horse John 2nd. The Wild Bunch awards were held separate this year to the cowboy match. Santa Fe Brewing Company supplied the kegs to the bar, Pizza Barn provided pizza for the dinner (awesome pizza by the way and frequented often by many a cowboy shooter!) and so began the handing out of awards. Congratulations to all shooters who placed in their category! 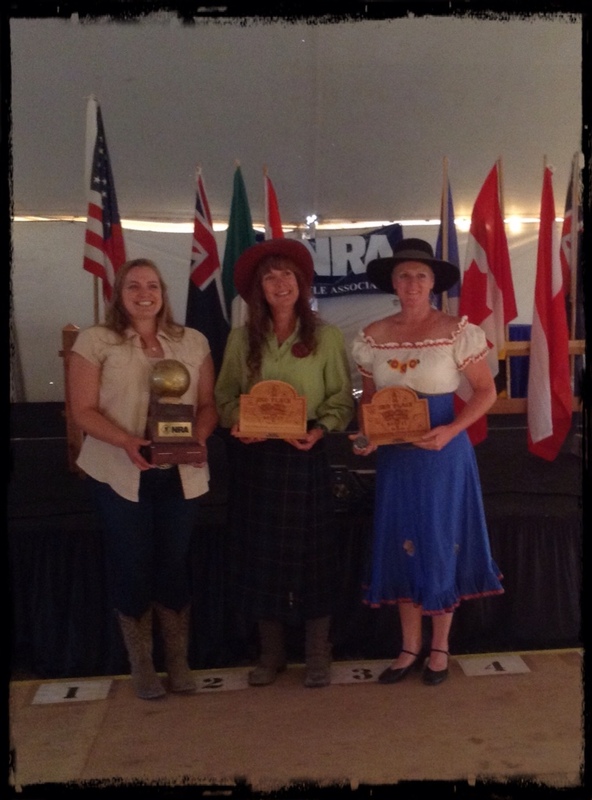 Congratulations to my fellow Lady Traditional shooters 1st Place Lady Jane, 2nd Place Lacey Doyly and myself in 3rd. This entry was posted in Lifes a Dance, Love My Life, SASS and tagged Australia, awards, cowboy action shooting, Edgewood, friends, NM, SASS End Of Trail, Single Action Shooting Society, United States of America, USTrip, Wild Bunch Match. Bookmark the permalink.